Commerce and Industry Minister, Professor Wilson K. Tarpeh, has assured Liberia’s partners that the Coalition for Democratic Change-led Government of President George Manneh Weah will ensure that the lives of Liberians are transformed through appropriate programs and policies that are people –driven. Minister Tarpeh said President Weah’s leadership will translate his vision for the country into reality through workable and achievable programs that are in conformity with Liberia’s domestic policies. According to the Commerce and Industry Minister, Liberia remains committed to partnering with the international community in its ongoing agenda to transform the country. Professor Tarpeh was however quick to note that his country’s interactions with the global village will be done in a way that reflects the domestic policies of Liberia. He said the Liberian government will continue to remain responsive to the needs of the entire citizenry by placing enormous emphasis on tangible issues of development rather than the erection of attractive and costly bill boards that will have no meaningful bearing on the Lives of Liberians, especially ordinary people. 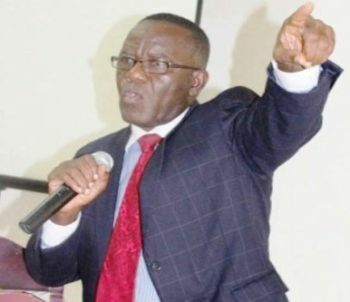 Professor Tarpeh made the observation over the weekend in Ganta City, Nimba County at close of a two-day Business Climate Forum. During the forum, he provided an overview on Import Permit Declaration (IPDs) Regime for Liberia and the need to keep such exercise in force considering its security nature and the cardinal role the IPD process plays in ensuring fair business climate, amongst other factors. He said taking the lives of Liberians from several years of desolation to appreciable level entails a lot, including job creation, keeping the country peaceful, stable and reuniting the entire citizenry. The Commerce and Industry Minister noted further that the CDC-led administration will not be deterred by tactics by some individuals who may want to distract the current Liberian government from doing its work. The forum was organized by the Business Climate Working Group, under the theme: “Resolving Constraints to Trading across Borders.” Minister Tarpeh also called on fellow political appointees not to get at each one another’s throat, but rather combine their respective efforts to translate government’s Pro-poor Agenda for Prosperity and Development into reality by public servants offering the best of their service to country. He said the organizing of gatherings of such nature is a timely idea that will always be supported by the Liberian government. The Commerce and Industry Minister noted further that such exercise creates room for people to share their respective ideas on how to move Liberia ahead. Touching on the role and functions of the Ministry of Commerce and Industry, Professor Tarpeh said the entity will ensure that quality goods are always available on the Liberian market, affordable and prices stable. He also said Liberia is cognizant of the World Trade Organization provisions and will continue to uphold such. Professor Tarpeh who is also Liberia’s Chief Trade Negotiator however disclosed that the Liberian government will equally ensure that its programs, policies and decisions are people-driven, adding that emphasis will continue to be placed on quality goods than quantity. ‘’Let it be very clear that the greatest interest of the CDC-led government of President George Manneh Weah is the Liberian people,” the Commerce and Industry Minister told the gathering.